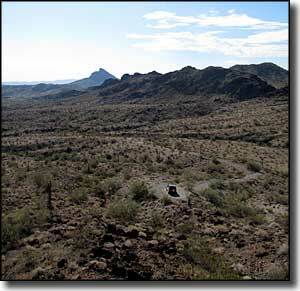 The Cactus Plain is a large area of shifting crescent sand dunes mixed with a few stable rock and plant structures. 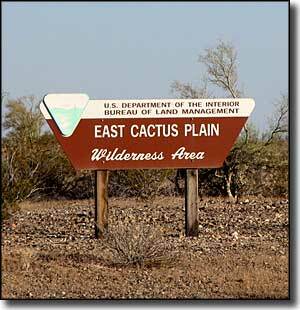 East Cactus Plain Wilderness encompasses most of the eastern 1/3 of the flat area, just east of the Cactus Plain Wilderness Study Area. 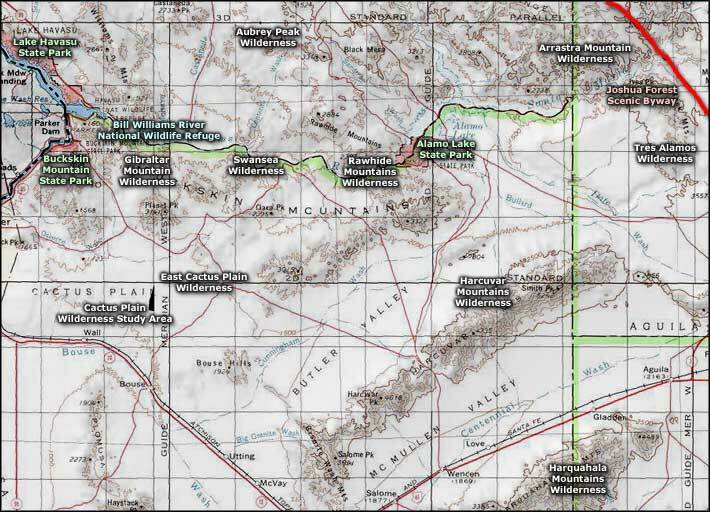 In this desert region you'll find all kinds of plants and animals that occur nowhere else in Arizona: sand flat milk vetch, linerleaf sand splurge, Death Valley Mormon tea, and woolly heads, plus the flat-tailed horned lizard, Mojave Desert fringe-toed lizard and the elf owl. This is a barren, pinkish-colored landscape that you'll mostly likely prefer to visit early in the morning or late in the afternoon (and between October and April). Bring plenty of your own water, a compass or GPS device and a good map: there are no established trails in these 14,630 acres. 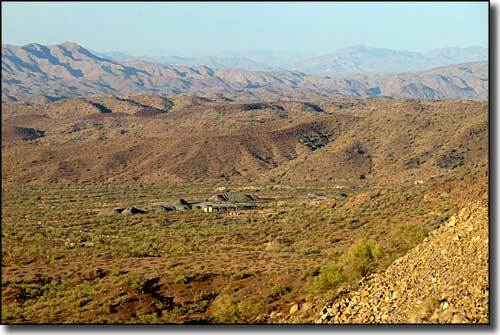 To get to East Cactus Plain Wilderness: Follow the I-10 to the Vicksburg exit. Head north to Vicksburg, then northwest on SR 72 to Bouse. From Bouse take the Swansea Road north about 10 miles. The Swansea Road passes near the southeast corner of the wilderness while a power-line maintenance road further up will take you within easy walking distance of the northeast corner of the property. 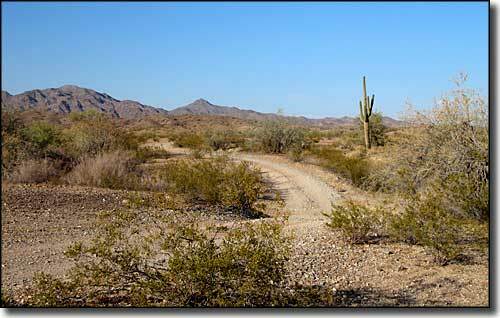 Photos of East Cactus Plain Wilderness courtesy of Chazz Layne, CCA-Non-Commercial-ShareAlike 2.0 License.